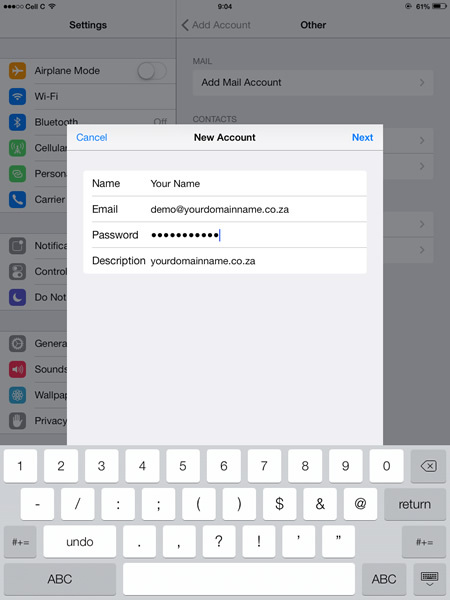 See below for instructions on iPad iOS 7 email account setup. 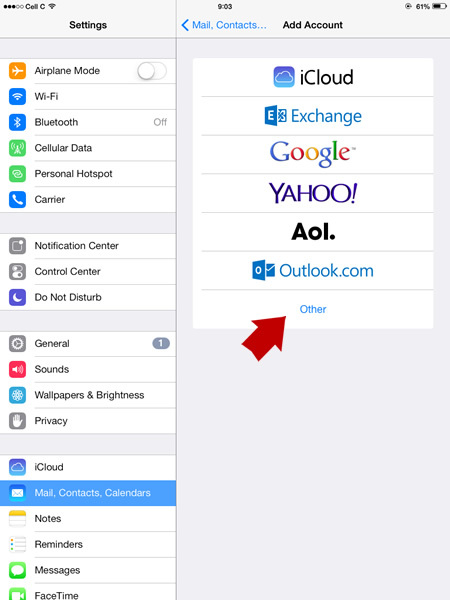 Mail, Contacts, Calendars-> Accounts -> Add Account. POP and IMAP will be show on top of the bar. 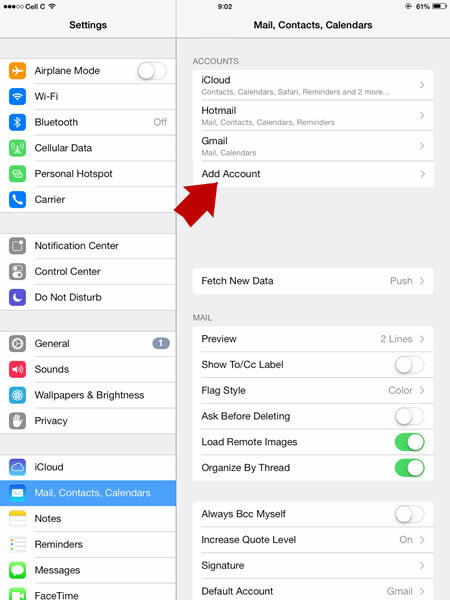 You are going to choose POP when you setup your email on your iPad. 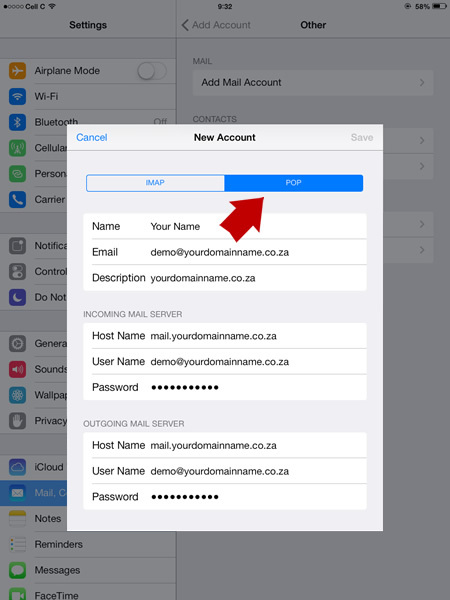 Fill in all as below POP Info Name : Email name , Address (full email address), and Description. 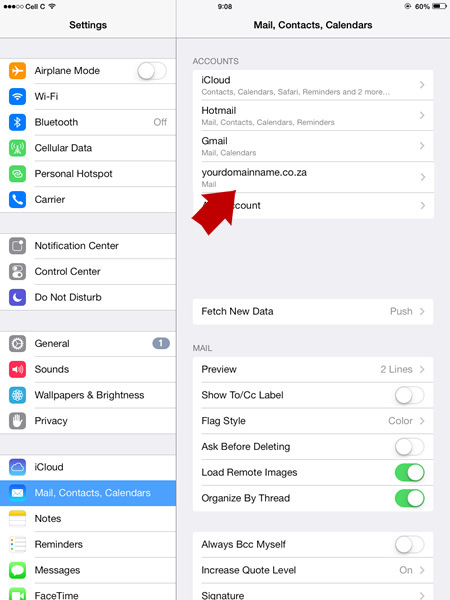 Incoming Mail server : host name: mail.yourdomainname.co.za, Username: (full email address) Password (email password) > click done/verify. 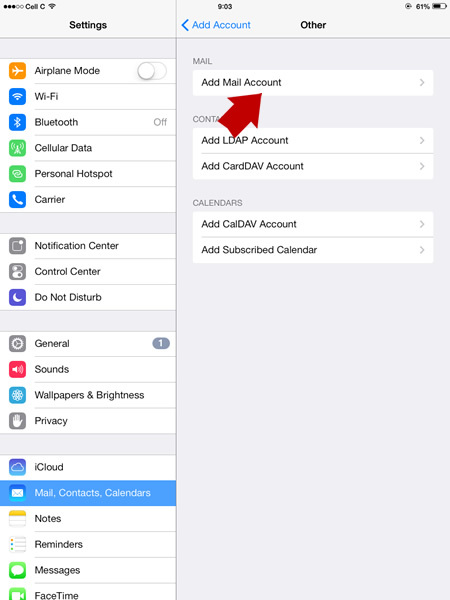 After accept, go back Settings -> Mail, Contacts, Calendars -> Tap (email account you setup earlier) and check POP and SMTP (outgoing mail server) setting. 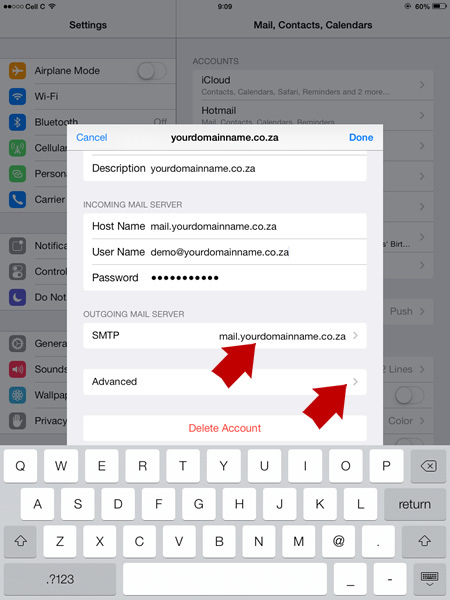 Tap SMTP mail.yourdomainname.co.za > tap mail.yourdomainname.co.za On. 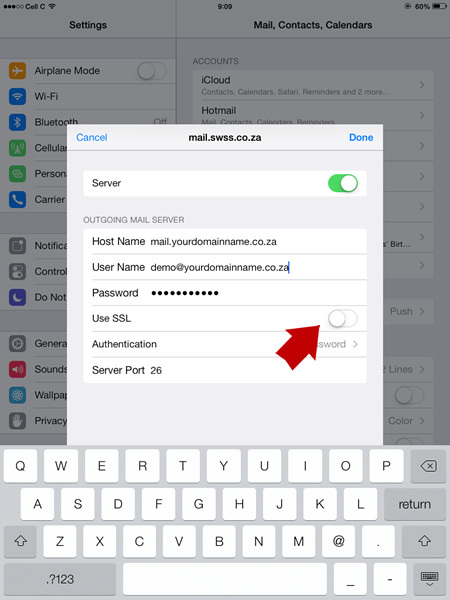 Check your SMTP SSL: off Authentication: Password Server Port number : 26 Once confirm tap DONE.